A bit of time has passed since the landmark 200th YCS events happened simultaneously in Columbus, Utrecht, and Mexico City, where we saw the first major tournaments of the new competitive year. Walking away from that event, many seem to be feeling that Pure Sky Striker is the most powerful deck of the format. I’d like to critique that claim, and talk more in depth about the intricacies of Sky Striker. What important aspects separate the pros from the amateurs? I finished 145th (8-3-1) with Pure Sky Striker at Columbus. I wasn’t able to secure a top, but I learned a lot from the experience. If anything, I may have figured out what I do need to do in order to get the top next time. I faced some genuinely good players that showed that my technical play requires more improvement. At the deck building stage, I should think harder about my non-engine card choices. Today I will be reflecting on several different aspects about this deck, both about deck building and about technical play. 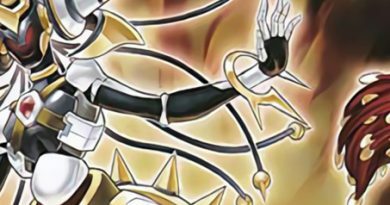 If you are planning to play Sky Striker this upcoming format or are looking to counter it, this article might be worth a read. The difficult part about Sky Striker is its unforgiving technical play curve. It is not as difficult or as complicated as some other popular top tier decks from the past, like Nekroz or Dragon Rulers, both of which having arguably more complex decision trees, but a sophisticated understanding of the deck goes a long way. Mistakes, even small ones, can set you back way too far. Every single search is crucially important. Plus, deciding what to search for first is also important. If my opponent may have Droll & Lock Bird, could I still play after this first search? Should I try to bait out Ash Blossom with Pot of Desires before using Engage? What if they allow the first Engage, but Ash the second? These are the questions you should be asking yourself continuously as you play. Given how each of the Sky Striker cards are fairly tame on their own (I.E. they each for the most part do only one thing), getting the small things right is crucial, since other decks have cards that have more varying card effects integrated into a smaller pool of cards. A lot of what Sky Striker does is capitalizing off small advantage trades. You can see this most clearly in its underlying card design for the basic Spells: “Do X, then, if you have 3 or more Spells in your GY, do Y.” Sometimes you either blow the early game away with quick advantage off Engage and steamroll, or you force longer games and pick away everything the opposing player has over time. On a longer timer, Sky Striker has the advantage. That being said, the weak part of the deck is certainly the early game. 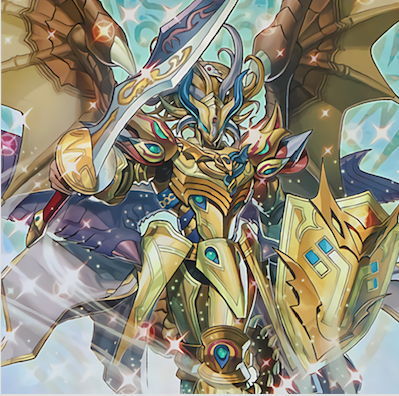 Sky Striker, therefore, requires the same modern game sense that all decks need to follow nowadays, and abiding by it is all the more crucial given the lower margin for error. Having a strong end game / late game means you have to play really well in the early game. After all, the late game can’t come if the game ends too quickly. For example: Don’t recklessly play a crucial spell like Engage in front of an unknown backrow because they might flip Infinite Impermanence. Play around Mekk-Knights by setting up your Zones with only one card in each column, with a particular importance in avoiding zones 2 and 4 (the columns holding the two Extra Monster Zones). And so forth. These should be relatively straightforward, and they translate to basically any deck you play nowadays. But being aware of these small nuances subconsciously and reflexively gives you breathing room to work on more difficult ideas. 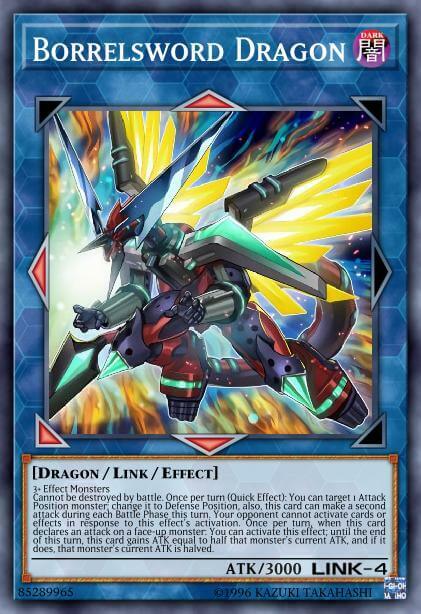 Once you got them ingrained into your technical play habits, then start tackling some Sky Striker exclusive ideas. The specific effects in question are the Ignition effects. Both Area Zero and Multirole target a card you control, establish an effect, and send the targeted card to the Graveyard. They are worded in the opposite order, but they work the same way. 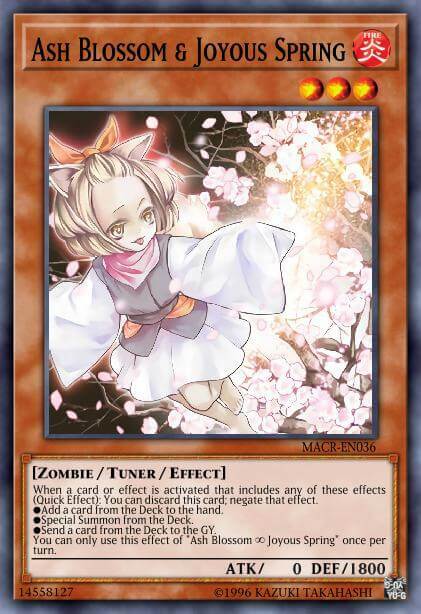 To make full use of these effects, you should know how “also” effects work in YGO. In modern PSCT, an effect that includes an “also” conjunction must resolve as much as possible, even if there are elements of the resolving effect that are impossible to resolve (I highly recommend referring to the PSCT breakdown on Konami’s website and getting to know these conjunctions by heart). In the case of Area Zero, the “also” conjunction is important because it means that if the targeted card is not on the field when Area Zero goes to resolve, you still resolve the rest. Reveal the top three cards of your Deck and add a revealed Sky Striker card. You can do this usually with Sky Striker Ace – Raye. 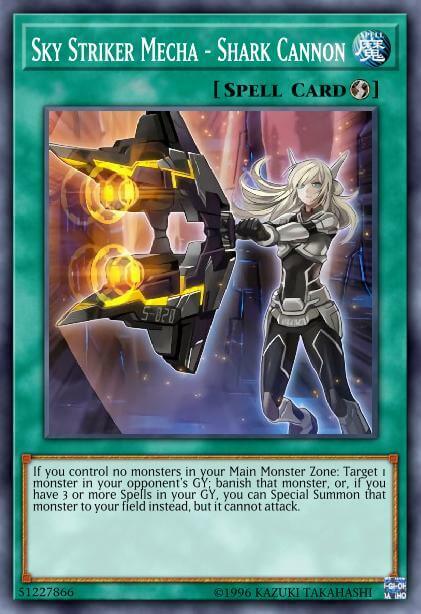 If Area Zero targets Raye, Raye can chain her effect to summon a Sky Striker Link Monster. 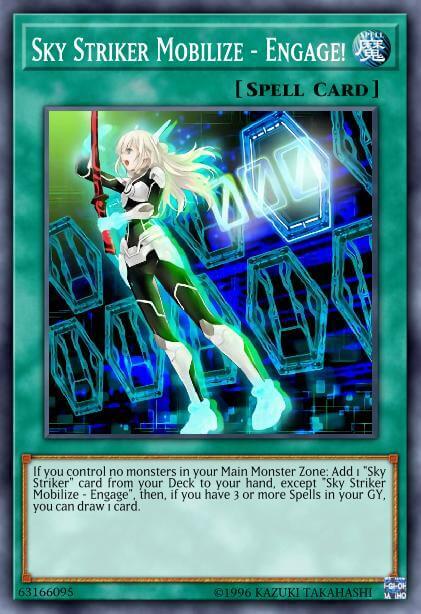 Area Zero will still add a Sky Striker card off the top of the Deck, essentially creating free advantage. It doesn’t matter that Raye left the field, Area Zero will still add. Multirole’s effect works the same way. If the targeted card is not there when the chain goes to resolve, you still gain the effect that disallows your opponent from chaining to your Spell Card activations for the rest of the turn. These two interactions work most fluently with Raye, but they also work well with Quick-Play Spell Cards that are already set in advance. A set Widow Anchor or Twin Twisters can be targeted, and then chained. The targeted card still resolves, and Multiroll/Area Zero still apply an effect. You get full value out of both. The downside with this specific combination though is that it is not applicable during the first turn of the match. Quick-Play Spell Cards must be set a full turn before activating. Additionally, combining them with Raye makes your first turn play very easily countered by cards like PSY-Framegear Gamma or other hard effect negation. Gamma doesn’t see a ton of play right now, but various hand trap preferences can change in and out of style as a format develops. Nevertheless, in a deck like this that focuses on overwhelming your opponent with advantage, it’s important to take these opportunities to get ahead whenever you can. Still on the technical side, it’s worth noting how a nuance in how effect negation works in YGO. A card that has no effect / has its effects negated cannot have its effects negated again. Older players may remember how you couldn’t target Evilswarm Heliotrope with Fiendish Chain for the same reason. This is very important to understand when playing with or against Widow Anchor. In order for the monster to be taken, Widow Anchor must negate its effects first. If that monster does not have any effects to negate, then Widow Anchor cannot take it. Normal Monsters cannot be targeted with Widow Anchor, and monsters whose effects have already been negated by cards like Living Fossil, Infinite Impermanence, or another Widow Anchor cannot be targeted either. If your own Sky Striker Link is being targeted by a Widow Anchor and the opposing player has three Spells in the Graveyard, you can chain your own Widow Anchor to prevent your monster from being taken. This is because their Widow Anchor will not be able to negate your Sky Striker Link’s effect at its resolution. If you have a set Widow Anchor that is targeted by an opponent’s Jamming Waves, consider chaining Widow Anchor and targeting your own Sky Striker Link. This gives a Sky Striker activation towards resolving Multirole’s End Phase effect (even on your opponent’s turn), and prevents your opponent from stealing your Link with Anchor later on during that turn. Your opponent has a few current options here, but most of them are suboptimal. They can immediately chain their own Widow Anchor, forcing them to use it earlier than they would like to; or they are forced them to kill your Link some other way, which would trigger Raye. These results have the capacity to punish them for either a) not previously searching Widow Anchor or b) not knowing how the negation interaction works. These are small nitpicks and could seem insignificant in scope, but enough small gains in the course of a match with Sky Striker can lead to more wins rather than losses. Engage is a silly card, but Multirole is arguably sillier. Aside from being able to reuse Sky Striker Spells from the Graveyard basically for free, Multirole’s ability to make all of your Spell Cards a Spell Speed 4 is what sets Pure Sky Striker apart from the competition. 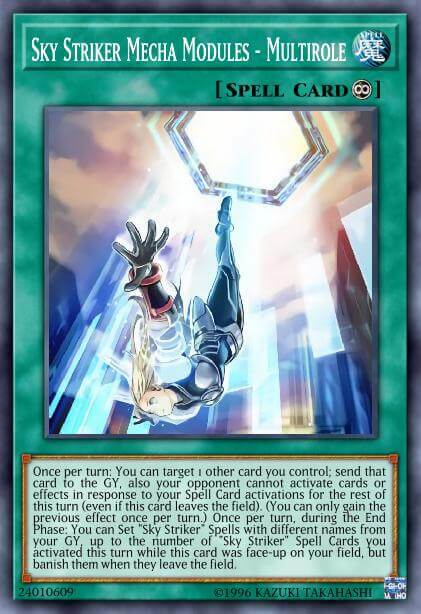 In most situations, a standard Sky Striker hand should be trying to resolve Multirole’s Ignition effect as fast as possible. Sometimes you have to trade away disruption cards like Widow Anchor or Solemn Strike when you open too many rigid disruptions, but the insurance that Multirole offers you outweighs that cost. Engage can no longer be stopped by Ash Blossom & Joyous Spring, and your opponent cannot chain to removal cards like Afterburner. Likewise, Twin Twisters under Multirole is one of the most broken combos in the game. 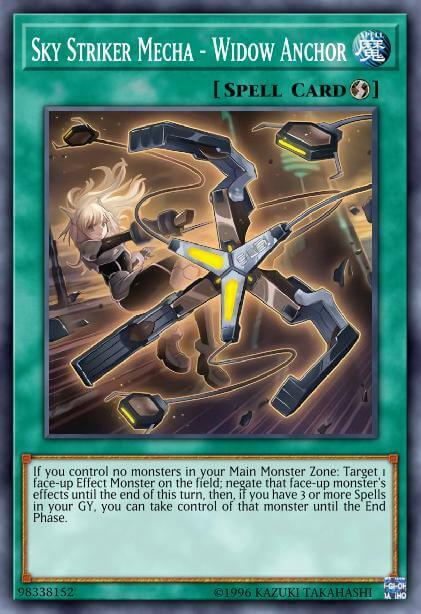 Your opponent is forced to preemptively activate chainable cards like Shared Ride before you even attempt to activate Twin Twisters or Afterburner/Jamming Waves, giving you more pinpoint accuracy for removing problems with your targeting and perhaps not even requiring you to use your removal at all. 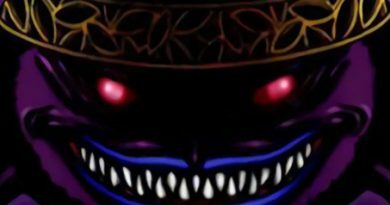 Altergeist is forced to flip up Altergeist Protocol and shotgun Personal Spoofing as soon as Multirole becomes live, giving you knowledge of where they are and a higher chance of hitting other dangerous backrow cards with your removal. Choosing which cards to set during the End Phase with Multirole is important. If you have a single Engage in the Graveyard with Shizuku on the field, Multirole can set that Engage to your own field so that Shizuku can add an additional Engage afterwards. Suppose the space in your Spell/Trap Zones is low or you’re playing against a Deck with a lot of readily accessible removal. You can change up which cards you set to ensure you still get around to your Engages safely. During your own End Phase, consider setting Quick-Play Spells like Shark Cannon, Eagle Booster, or Widow Anchor instead of setting Engage. Remember, Multirole triggers during both End Phases. On your opponent’s turn, stop their plays with Cannon and Anchor or stall with Eagle Booster. Then during the End Phase, set Engage off Multirole. In normal situations, this let’s you blow them away on the following turn. You maximize the amount of interactable cards on your side of the field during your opponent’s turn (as Engage can’t be activated on your opponent’s turn anyway), and you still end with access to Engage. Moreover, you don’t always have to set Engage right away. If you have Raye in the Graveyard with Engage, she on her own acts as an additional threat to your opponent. Even in the event that your Multirole is removed, your opponent still has to be cautious about allowing you to freely summon Raye. Raye can tag out any time to summon Kagari and add back that Engage. Whenever possible, try to set at least two Spells off Multirole. 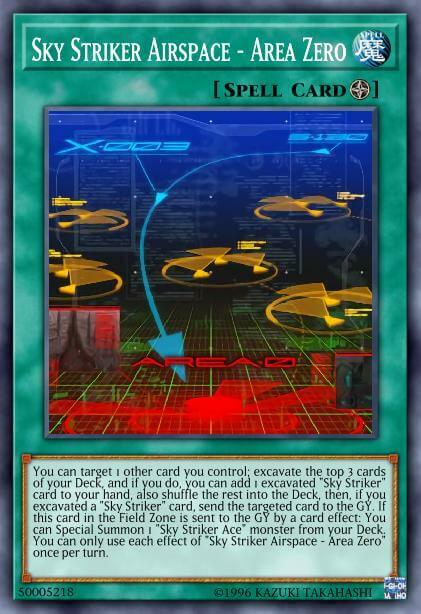 Your opponent is allowed to know which Sky Striker cards you are setting but not where you are setting them. Having multiple allows you to shuffle the selected group of cards before setting them. This way, it’s harder for your opponent to successfully destroy crucial cards like Engage or Widow Anchor. If you telegraph which zone that Widow Anchor is in, it makes it too easy for your opponent to remove it with cards like Knightmare Phoenix or Trickstar Light Stage, and then go on freely with their plays. If you are on the other side of the table from Sky Striker, it is pivotal that you remove Multirole as soon as possible. Especially in the mirror, a Sky Striker deck being able to freely recycle powerful spells and gain them interaction immunity once per turn is unbearably difficult to beat. Blow it away with Twin Twisters, Knightmare Phoenix, or anything of the like whenever the opportunity presents itself. Ghost Ogre & Snow Rabbit popped up in a lot of decklists at the three 200th YCS Events because it is very powerful against both of Multirole’s effects. If Pure is a large threat on your radar, Ghost Ogre should ideally be a 2-or-3-of in your Main Deck. A lot of decks have certain “win conditions” that don’t really change depending on the deck they are up against. 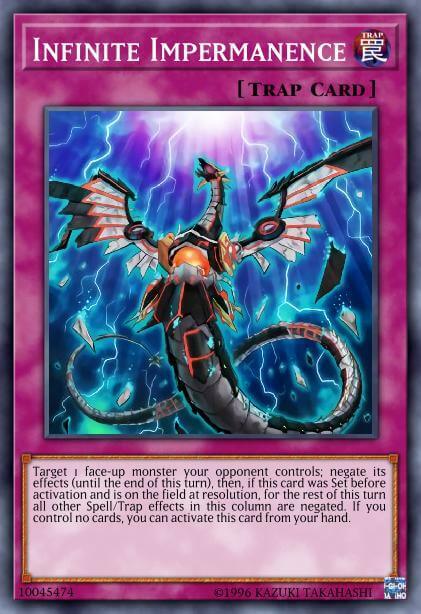 ABC players always want to be getting out ABC – Dragon Buster as fast as possible, and Exodia players always want to obliterate their opponents with the Forbidden One. All roads lead to Kansas. Sky Striker differs in this respect in that it doesn’t really have a set win condition that it chases after every game. 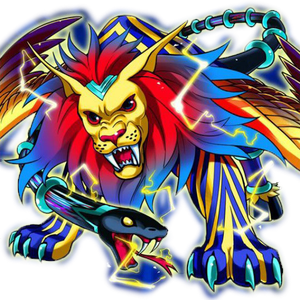 Other than Borrelsword Dragon, who is both hard to summon and not applicable in many matchups, Sky Striker lacks a boss monster. Instead, Sky Striker wants to overwhelm its opponent with card advantage produced by Engage and the Sky Striker removal Spells. You usually swing for lethal either with monsters stolen from Widow Anchor or large Link Monsters made using tokens or stolen monsters. That win condition is not static, and changes frequently depending on your hand and what deck you are facing. After all, a stolen Topologic Gumblar Dragon attacks for a lot more damage than a stolen Altergeist Multifaker or Silquitous. Moreover, some decks put you on a smaller timer than others. Gouki for example threatens to kill you more quickly than Paleozoic. Other decks though are composed of many threatening things that aren’t monsters. Paleozoic runs at least 3 or 4 different floodgates, along with ample ways to protect them. Therefore, you have to adapt and think actively as you play. My main point is that your playstyle should not be static. Instead, adjust it depending on the deck you are up against. Against the mirror, you should be trying to resolve Engage as much as possible while ideally using all of your disruption to prevent your opponent form resolving their Engages. Other than an uncontested Shared Ride or severely disproportionate openings, there are few win-buttons in the mirror match. Against Altergeist, you need to kill them as fast as possible while running through their Traps (like Rivalry of Warlords and Altergeist Protocol). If the game goes too long, they will snowball you. Against Gouki, you need to play more control-based and prevent them from extending into a Link wombo combo. I could go on, but there are so many viable decks this format that the list would be exhaustive. If you don’t know what you are playing against and are going first blindly, strive for balance. Try to get some points of interaction like Widow Anchor ready to go while also having an Engage or something in reserve. Once you know what your opponent is playing on your next turn, it’s easier to know what to search for and take control of the game. Let’s look at a more detailed example. For this I’ll use Gouki, a deck that is explosive and is built almost entirely of Warrior extenders to make crazy Link combos. Remember when they banned Goblin? Neither do I. The deck hasn’t changed much, especially in the United States. As mentioned previously, you should use a more concentrated control-based approach that is set on producing as many points of interaction for the first turn as possible. Going first against your Gouki opponent, you have the option between setting a single Widow Anchor and leaving an Engage in hand (therefore forfeiting a search off of it) and searching an additional Engage during the End Phase off Shizuku, or using that Engage to search an additional Widow Anchor or Shark Cannon to potentially get a draw before passing. Assume that you drew a low amount of other interactive cards (Solemn Strike, hand traps, etc.). You feel the need to build a stronger defense. Building that defense means forfeiting another Engage off Shizuku during that End Phase, but then at least you will have an additional point of interaction with your opponent. Realistically, Gouki can blow through your board if all you have is a single Widow Anchor or a hand trap. I think a superficial understanding of Sky Striker would argue against using those Engages or leaving only one in the Graveyard for Multirole to fish back so that you could search another Engage during the End Phase. The hope to use multiple to blow out your opponent on your next turn, when you are more likely to have at least 3 Spells in the Graveyard. I don’t think that line of thought really understands the matchup between Sky Striker and fast decks like Gouki. It’s too glued to the idea of “Engage is broken, therefore searching Engage is correct.” Against some decks, I would agree, get as many Engages as possible. But the match up against Gouki is decided very quickly, easily within the first turn. The benefit of a conscious control approach is that you have more ways to stop your opponent from going full combo against you. Plus, Raye in Graveyard serves as deterrence and allows you to win the game by adding that Engage off of Kagari should your defense successfully do its job. Against a simplified Gouki gamestate, a single Engage should do the job. The marginal benefit of a second or third Engage is not nearly as high as the first. The other line of play having two or three Engage in your hand has a nice hypothetical advantage yield for the next turn, but it’s greedy. Moreover, those search cards in hand likely don’t do much against a full combo Gouki U-Linked Gumblar board. You can’t discard Engage to negate Isolde; they are probably going to hand you an Iblee; Gumblar can discard them; Tri-Gate Wizard can negate them, etc. You need a stronger defense. The downside with this line of play is that it makes your board more prone to losing against field wipes like Evenly Matched. Though, some of these can be ideally addressed through side board choices like Mind Crush and Artifact Lancea. But no line of play is perfect. Everything has a weakness. I would still argue that this thought process is still correct. The chances of them comboing through minimal interaction is pretty large. Given the amount of heavy extenders Gouki plays, they can realistically combo off through one or two disruption more often than hard-drawing the unsearchable Evenly Matched. You can see a modified version of this example in the Top 16 Match Game 3 at YCS Columbus. Yes, Trevor Commer opens kind of insane here. Nevertheless, he still searches for as much interaction as possible to ensure that his opponent cannot combo off. His board is prone to Evenly Matched, but the side decked Mind Crush that he drew keeps it in check. Moreover, that Mind Crush has a lot of utility despite Evenly Matched not even being in play. Even though his opponent had Magical Mid-Breaker Field to turn off targeting, Commer still wins handily because he searched for extra interaction. Unfortunately, if you came to this page looking for a spicy tech for Sky Striker, I do not have that. It’s hard to innovate on a Deck that is already being so widely played. The innovation and the skill in building a Sky Striker deck this format will come from really nuanced non-engine choices. What is being played in Sky Striker is chosen in direct response to what everyone else is playing. Eagle Booster was played much more widely than anticipated at all three 200th Events in anticipation of a large Pure Sky Striker representation, especially in Europe. Should more players pick up on that trend, Solemn Strike could become a better counter because Eagle Booster cannot chain to a counter trap. If Solemn Strike becomes more widely played, playing three Twin Twisters in main may become more favorable to counter it, as Solemn Strike is not chainable. If Twin Twisters becomes widely played, Magic Deflector becomes a relevant counter that has utility against Area Zero, Multirole, Hornet Drones, and Shared Ride. I could go on, but you get the idea. 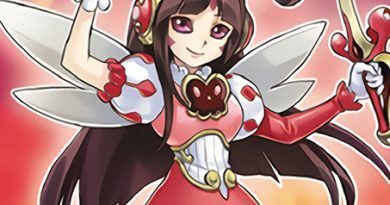 Sky Striker decklists this format will look cyclical in nature because the deck is going to be continuously solved and resolved in response to different trends. Deciding exactly which hand traps to put in the Main Deck is a difficult challenge. I think it’s the kind of skill that allows pro players to consistently top. Every single card you play in your deck should be a conscious, well thought out decision. Ash Blossom works against basically everything. She stops Engage, which is crucial, but they can hypothetically play through it. What Ash offers in versatility, she lacks in power. Ash only stops one card, and Engage does not have a hard OPT clause. Ghost Reaper & Winter Cherries offers a more blanketed long term effect, but is only good against specific decks. She does little to Trickstar, and can be awkward in the mirror. Plus, Reaper requires targets that limit Extra Deck space. Droll & Lock Bird is more universal and offers a full turn of disruption compared to Ash’s 1-for-1 But Droll is easily countered by the likes of Gamma, is bad against slower decks, and does not stop cards like Kagari. Ghost Ogre is very hot-and-cold being killer against cards like Multirole and Mekk-Knight Purple Nightfall. She is strong against Personal Spoofing and Altergeist Protocol but only if they were already face-up on the field prior to the activation of the effect. Ogre can be especially dead against a lot of other things as well, particularly anything Trickstar-based. Again, I could go on. This is just a snapshot of all the cards that are even up for consideration. Deck building is hard, and this breakdown indicates some of the reasons why that is. No perfect card exists. 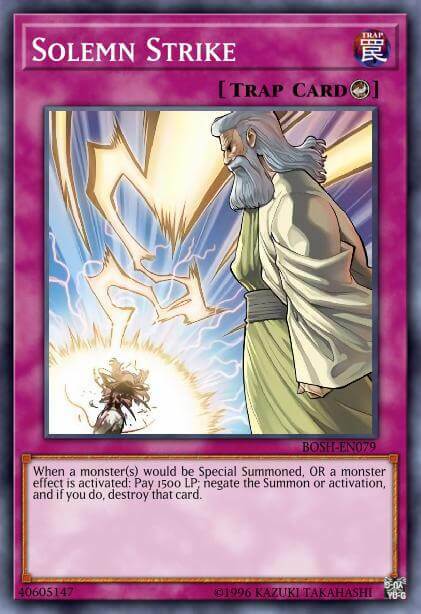 YGO’s asymmetric card design and huge card pool makes deck building more and more difficult as new cards come out. These are problems that need to be addressed at the deck building stage, and they are difficult to answer. Perhaps it’s because it’s difficult to discern what card choice is correct and what is incorrect in a game with natural variance. Thought experiments like this show some of the higher level skills that are required to succeed consistently at competitive YGO. It applies extensively to Sky Striker. If you don’t have these skills already, putting in effort with this deck can help develop those skills. Deck building is a series of problem solving and self-imposed questioning and answering. Sometimes for myself, my answers fall short or miss the target entirely, reflected in my tournament records. But experience and practice over time has led to improvement. Experience can be a great teacher, and defeat can be an even better one. If you are trying to get better and hoping to see more tournament success, think actively about these questions and chase after them. Bounce ideas off your friends and teammates. Try out new things in your deck to get an edge. Pursue trial and error. Develop the theory and then apply it extensively. A lot of thought should be put into each non-engine card you play, and that requires a strong understanding both your deck and everyone else’s. Pure Sky Striker isn’t the most “powerful” deck of the format. Other decks do flashier things and wombo combos. It can’t U-Link, it can’t summon powerful boss monsters, and it doesn’t end with six negates. But it seems like a safe pick for a tournament this format because it has a lot of space for non-engine cards that check the format. The skill needed is derived from correctly picking which non-engine cards to play and which to leave out. Just one Raye or Hornet Drones gets the whole deck going. It’s consistent, it’s reliable, and it’s resilient. Multirole offers activation protection and recursion, removal is easily accessible, and Raye revives herself against basically everything. You can’t really ask for more out of a deck. If you are looking for sample decklists to use as a jumping off point, I highly recommend checking out Jeff Jones’ Top 64 and 1st Place After Swiss Decklist. The key is practicing your technical play so that you know it cold, both minimizing error and avoiding running into overtime. The mirror match can be grindy and brutal, but practicing your technical play and gaining experience helps a great deal. In the next few weeks, we will start looking more into what Sky Striker is up against, including things in Soul Fusion coming in a few days. Should be fun. wiedergeburt is a student at the University of Notre Dame studying Economics, Theology, and German. He's a five-year veteran of Yu-Gi-Oh, and his favorite decks are Infernity, Shaddoll, and ABC. This was the best article I’ve read here, period.